It’s hard to find people that would wear their heart on their sleeve, but with pin badges like the ones below, who wouldn’t want to wear them loud and proud? 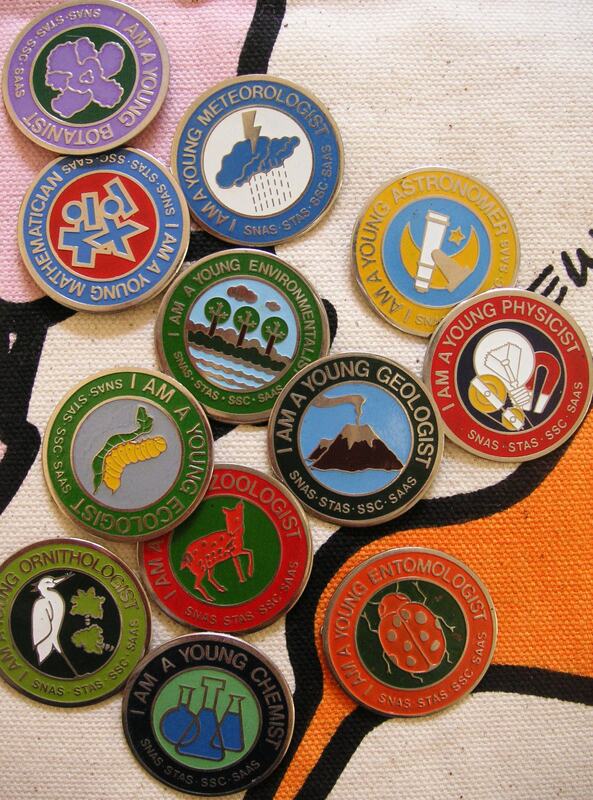 Truth is, these were academic school badges that were awarded to primary school kids in Singapore in the 80s when they had completed a project in various scientific disciplines. Clean, crisp and colourful, the logo design on these badges really hark back to a time when things (and life) were a lot simpler. Just one of the many lessons marketers should learn today; even though some ideas belong in the past, it doesn’t mean that they’re passe. Did Bingle bungle up their brand?